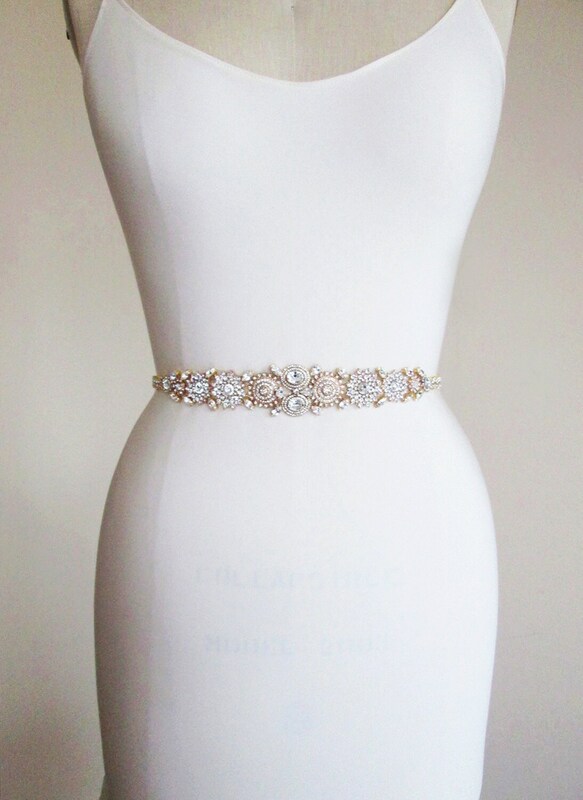 This sash belt is made with the gold plated crystal components and 3/8" wide grosgrain ribbon. 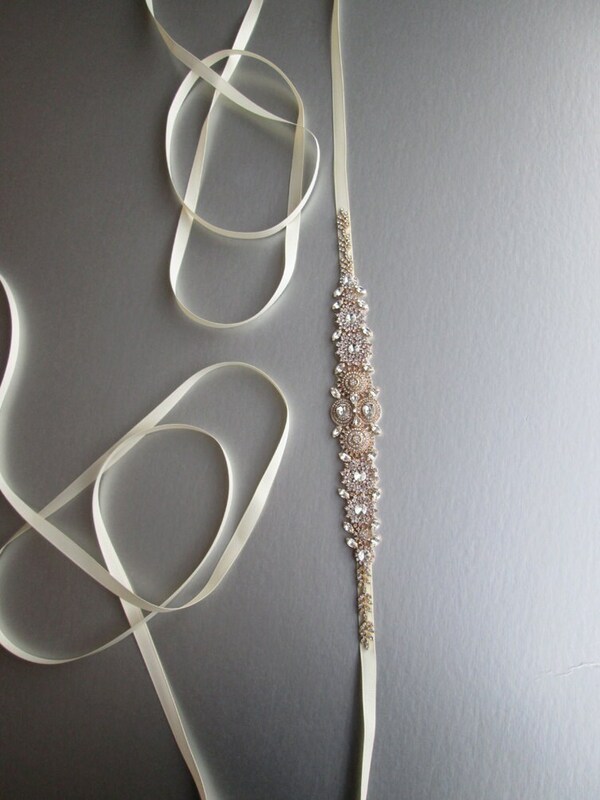 The crystal part of the sash measures about 1 3/8" wide at the center and about 12" long. 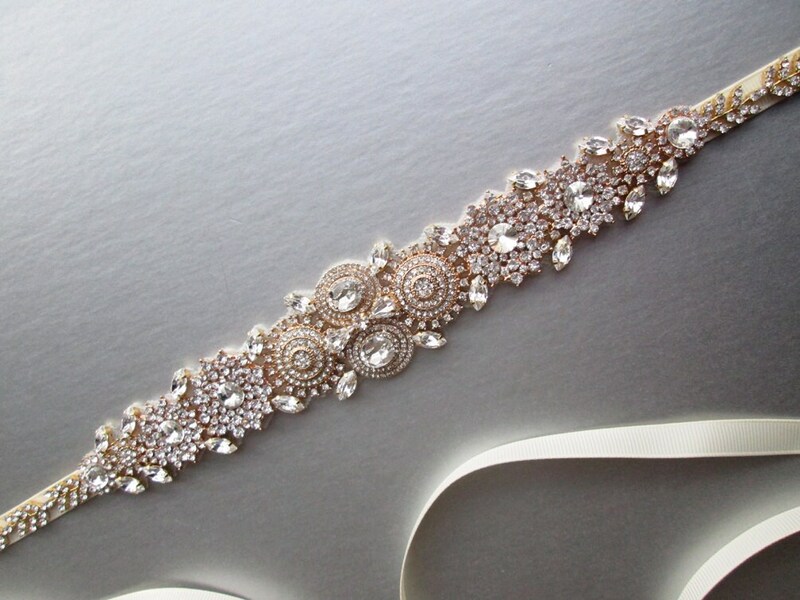 Made with top quality materials. 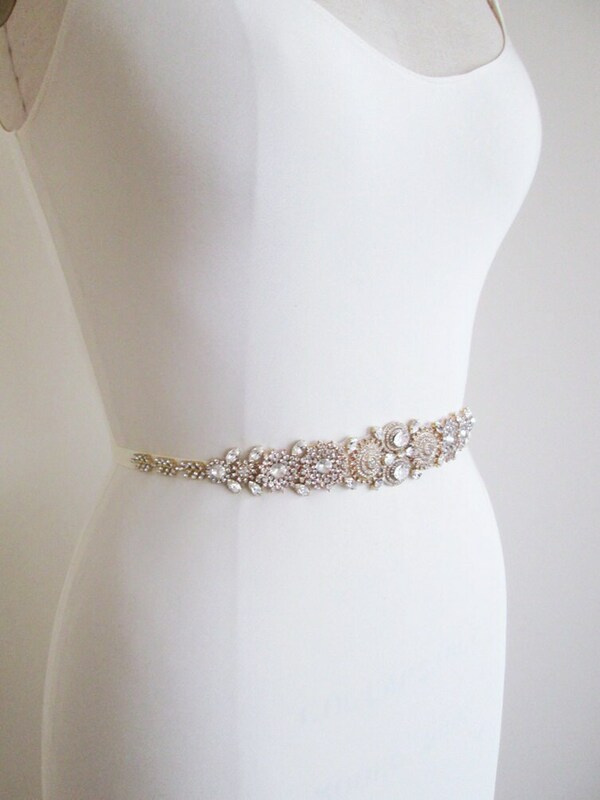 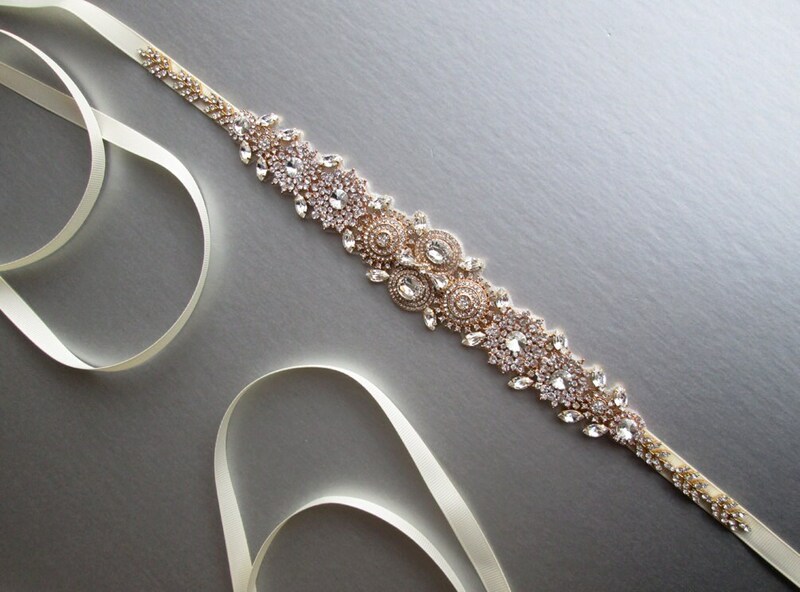 This belt comes with choice of old gold or ivory ribbon.